Welcome fans to the 2011 Blackwater Rollers season! It is a new year, new upcoming bouts, some new players we are excited for you to see skate. With that, we are adding a new blog to our site! Come back often for bout updates, special events, player features and as much derby as one person can handle. 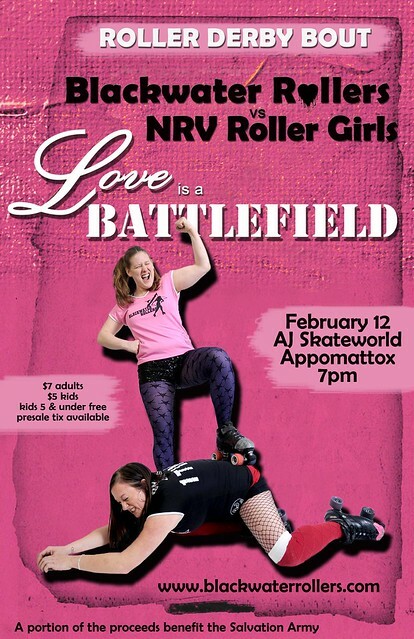 While you are at it, mark your calendar because it is less than a month away until our first bout against the NRV Roller Girls out of Christiansburg. This will be our first time ever bouting these fierce ladies and it will not disappoint. For more information on the bout, check out our facebook event page and we will see you on the rink!